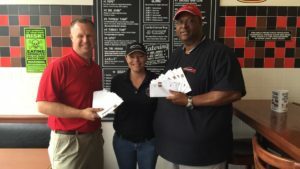 Bowling Green, KY small business owner, Drew Byers of Byers Insurance Group and The Kinny Landrum aka Your Bowling Green Car Guy, sales professional at Toyota of Bowling Green, recently teamed up to give away 100 free sandwiches at the local Jimmy John’s on Campbell Lane. 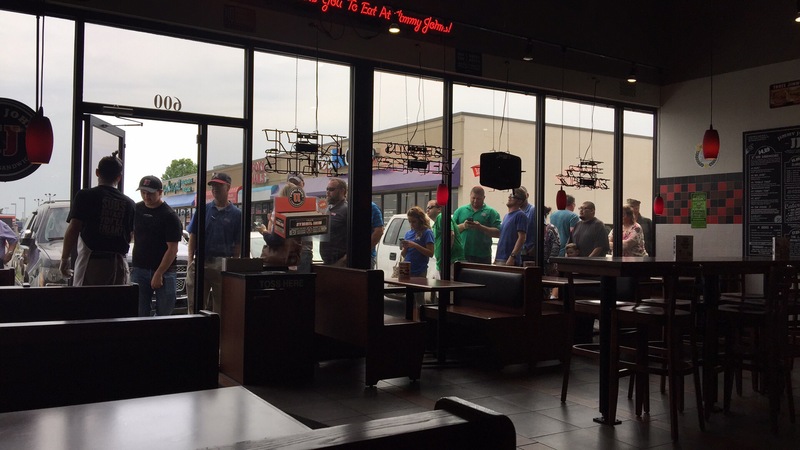 April 21, 2016, was customer appreciation day at Jimmy John’s. 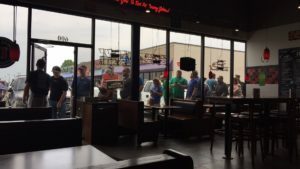 Drew Byers and The Kinny Landrum spoke with General Manager, Seaba Poteet and asked if it was ok to buy 100 sandwiches to give away to the first 100 customers. The line started growing at 10:30 and when the doors opened at 11:00, the first 100 people got a surprise. A “Free Lunch” sandwich! Drew and Kinny said, “We are apart of the business community and to help get our name out, we decided to greet the first 100 people and give away free lunch sandwiches along with our business card”. Be on the lookout for Drew Byers and Kinny Landrum’s next “Who said, there is no such thing as free lunch adventure”! “Byers Insurance Group” is a local independent agency based in Bowling Green, KY and proudly serves the insurance needs of their customers in KY and TN. They offer home, auto, life, and business insurance. “The Kinny Landrum aka Your Bowling Green Car Guy” is a sales consultant at Toyota of Bowling Green. Toyota of Bowling Green offers new Toyota’s, Toyota Certified Used Vehicles, and a wide range of other used cars, trucks, suv’s, and vans. You can connect with Byers Insurance Group on social media by clicking here: Facebook, Twitter, or Byers Insurance Group. The Kinny Landrum can be reached on his cell phone at 270 779-2819 call/text or by googling Kinny Landrum customer reviews. If you live in Bowling Green, KY and would like 60 days’ worth of free car washes? Please comment below and let us know your favorite Jimmy John’s sandwich and don’t forget to leave your email address.